Henri Bortoft, author of The Wholeness of Nature, and Taking Appearance Seriously (Floris Books). – An enchanting story for young and old combining wisdom and myth. After reading untold heavyweight non-fiction books while researching for my next book The Illusion of Separation – Exploring the Cause of our Current Crises (being published October this year), it was a refreshing delight to read the e-book Behind the Mountain. Behind the Mountain is a fiction book for the young and old alike. It is a thrilling adventure story which unfolds with a refreshingly light narrative and yet with a depth of intrigue and enchanting wisdom. It is the second book in the e-book series of The Seven Songs by C J Moore. The first book is King Abba, where a Utopian high-tech order collapses, fatally flawed, unable to sustain its own technically brilliant but pointless wizardry. At the end of this volume, the King disappears, leaving all in chaos, some wise souls assuring that this is precisely what he wants. Now, it seems, as we embark on Behind the Mountain, we must all pass through the edge of chaos and ride the wave of transition. Different groups will make their own paths through this chaotic change and seek out new forms of stability. As a story, Behind the Mountain has an air of the ancient about it, the fairy-tale of times yonder, yet also an air of what may lie ahead of us after cataclysmic events unfold and current structures breakdown. Above all, it is a story of personal adventure, courage, leadership and self-realisation in a volatile world. The two main characters are Fion the Prince…. And his sister Dream the Princess…. ‘Was I asleep?’ she asked. She turned on her back and smiled up at him. The story both lifts the reader up and away into another world – with a concoction of enchantment, adventure, fear and love – while pulling the reader inward into deeper reflection provoked by the trials and tribulations of personal transformation in the midst of cultural upheaval. For instance, how darkness, fear and confusion can feed yet more fear; how the seemingly opposing tensions of faith and reason, masculine and feminine, rationality and intuition yield a deeper realisation of reality; and how different ways of attending to life affect how we perceive and relate with ourselves, each other and Nature. This is an important book for the times we live in and has been written in a style that makes it readable for young and old, and when my children are a little older I look forward to reading it to them. 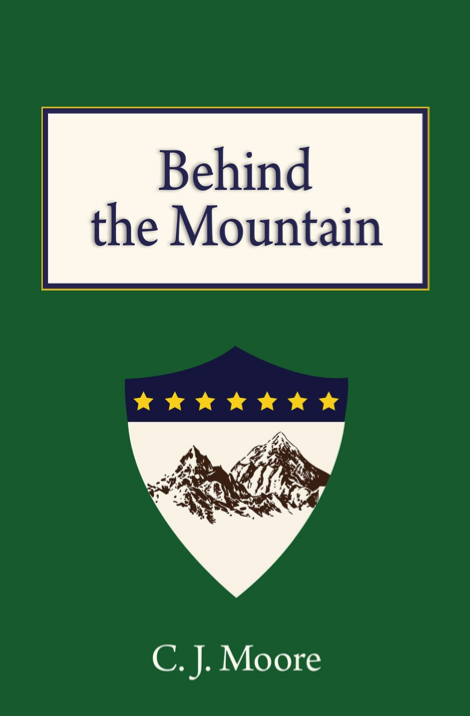 For £3, Behind the Mountain can be purchased as a Kindle version on Amazon. 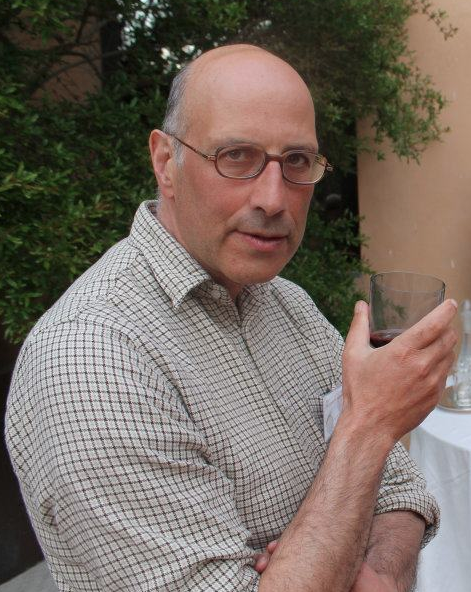 Philip Franses is a teacher of complexity in the Holistic Science Faculty of Schumacher College. Born in 1958 in England, Philip studied mathematics at New College Oxford from 1976 to 1980. Academia’s dull explanation of the world inspired Philip on a counter-journey into the depths of experience, travelling and a re-sensitisation to quality. In 2005, after a fifteen-year career designing intelligent software, culminating in a programme now used in The Netherlands by all Dutch courts, Philip had a chance encounter with Satish Kumar and was moved to come to Schumacher as an MSc student. Here he was especially inspired by the work and scientific approaches of Goethean scientist Henri Bortoft, the physicist Basil Hiley and the late Brian Goodwin, professor of biology. Behind the Mountain follows the journey of two children of King Abba, Fion and Dream. In the first book King Abba, the children have learnt in dramatic fashion that the rational world in which they have been brought up is a mere simulated reality, produced by a machine. At the end of the first book, they manage to escape the simulated world to an unknown fate, with the whole royal family scattered in exile. In this sequel the reality of living outside the fabricated simulation of the city is explored in the real life coming of age adventures of Fion and Dream to come to terms with their tasks and responsibilities. Behind the Mountain, as the sequel, has its setting is the mountains. The grandeur and wonder of the scenery, but also the danger of its terrain, communicates throughout the book a vulnerability in the characters unsure of their own next steps. The task of the children as the prince and princess of the realm from which they have been exiled is each in their own way to reconcile the magic of the mythical, spiritual world, with the excessive rationalism that has come to dominate to such an extent, as to have created a fabricated technological reality. Fion and Dream find themselves together having to make their way in a hostile world, unsure who to trust, but finding signs on their way of their eventual passage. Throughout the book, Fion and Dream have to make their own meaning of the world, newly, out of their experience, one to be contrasted with the rational knowledge of a factual world, they learnt. They commune with tree spirits, they follow magical signs, they learn to trust the wise souls that guide them. The book is rhythmic in the constant threat of danger the children face, exiled as they are from the society in which they have been brought up, alienated from all the driving forces that are out for their own political ends to either woo or wound the royal children. But this rhythm of danger, constantly involving the children in new adventures as they seek their true life path, has also has a subtle development in it. What begins as an external danger, gradually shifts into an internal struggle as the children face up to what they must overcome within themselves in order to meet their own life-tasks. An example of this shift is where at the beginning of the book the children find sanctuary in Wildern, a community of exiles who have established a back to nature community, growing their own food, and sharing the tasks of maintaining the land. The community is very realistically drawn, with all shades of character, and reasons for joining the circle, living alongside. But eventually the children realise that their real safety does not lie here. The apparent safety the community represents in its simple values of a return to natural ways of self-supporting from the land, belies the danger of an informer, suggestions of whose presence floats in the air of collective wellbeing. The children to assume their full responsibilities have to journey out on their own individual adventures to meet with their full fate. The children have to trust to the mountains themselves, the spirits of the trees, the magic of hidden worlds, the lineage of a different human engagement with the world. By journeying beyond their own safety, the mountains give a real protection, in weighing their destinies alongside the self-interest of others intent on derailing them from their own purpose. Each of the children is given a task they must fulfil, that is connected to a magical object to which they come in possession. They are helped on their way to know themselves in their full responsibility by signs. The magic points them to go deeper into their journeys to better understand their tasks in the world. The beauty of the book, is in the ambition to unify the rational with the magical, the necessity of the children to learn their role as leaders that can eventually take them back to the society they have left. The real struggle of their own journeys is with their own fears, prejudices and assumptions about the world, and the trust to find their true nature. The book is universal in the challenge we all face, how to live newly. Moore, C J (2014-02-15). Behind the Mountain (The Seven Songs) (Kindle Locations 3151-3157). The Garlick Press. Kindle Edition.